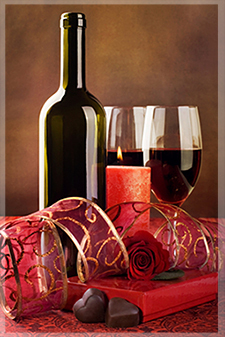 The 25th Annual Chocolate, Wine & Roses Festival Silver Soiree is taking place Saturday November 2, 2013 from 7:00 PM – 10:30 PM at the Hyatt Regency Lake Tahoe, Regency Ballroom. The 25th Annual Chocolate, Wine, and Roses Festival is back with its Silver Soiree, featuring three major North Lake Tahoe resorts – Hyatt Regency Lake Tahoe, The Ritz-Carlton, and The Resort at Squaw Creek. The Grand Ballroom at the Hyatt Regency Hotel will be transformed into a sparkling silver wonderland full of chocolate, wine and roses! Sample delectable chocolate creations lovingly created by 10 of Lake Tahoe’s finest culinary artists. Take part in boutique wine tasting and enjoy scrumptious food by Hyatt chefs. Bid on a variety of interesting items in a live and silent auction and vote for your favorite chocolate and wine. Top the night off with music, dancing, and a chance to win a wheelbarrow full of wine! This event is brought to you by Tahoe SAFE Alliance and Project MANA, with festival proceeds going to support many vital programs in the community. This popular event sells out fast, so buy your tickets in advance if you plan on attending. Hyatt Regency Lake Tahoe is offering discounted room rates to guests of the Chocolate, Wine, & Roses Festival, but only if your book early. For other great fall events visit the Lake Tahoe events calendar.